The 35-year-old singer and former "American Idol" winner showed a glimpse of her scars in a photo on Instagram after getting more than 40 stitches in her face following a fall at home in November. 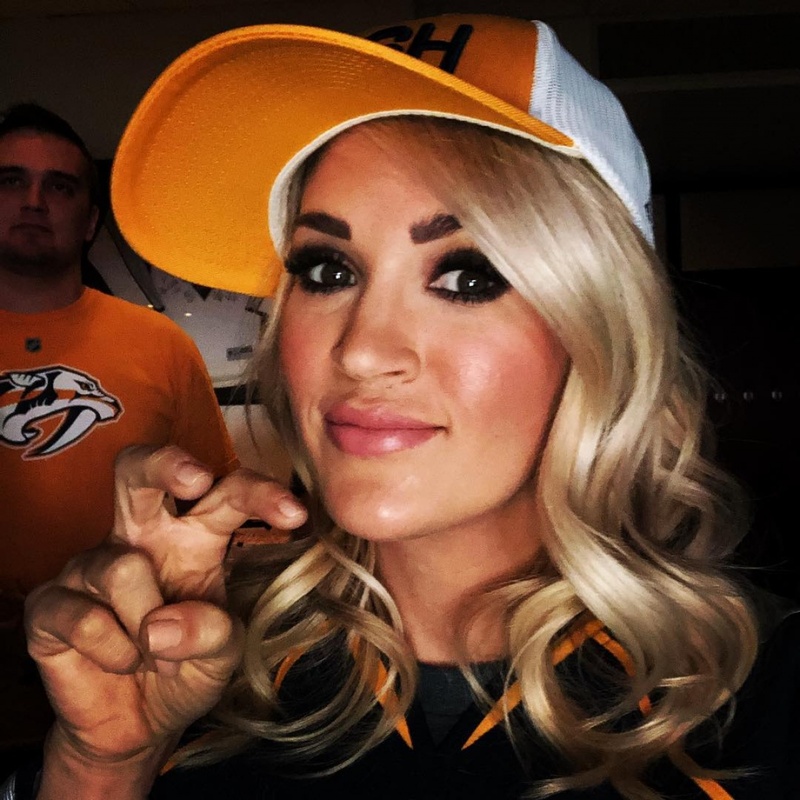 The picture shows Underwood getting ready to cheer on her husband, NHL player Mike Fisher, during his game with the Nashville Predators. Fans noticed slight marks above the star's lip and on her chin. Underwood injured her face and broke her wrist during a fall on her steps in November. She said this month her face is "healing pretty nicely" after previously telling fans she wasn't "quite looking the same." Underwood performed for the first time since her fall at the 2018 Academy of Country Music Awards this month. She will release her sixth studio album, Cry Pretty, in September.